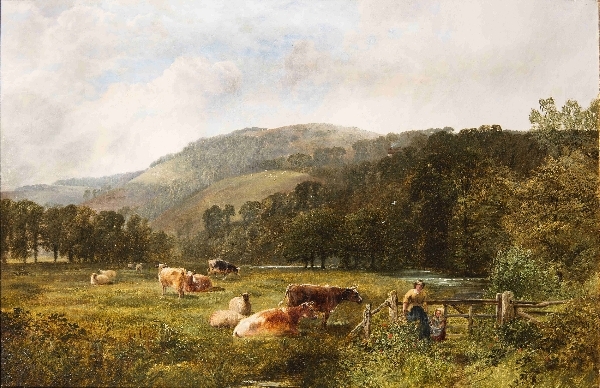 George Cole was a self-taught portrait, landscape and animal painter. There is very little information available about George Cole. He was born in the year 1810 and he is known to be a self-taught artist. He did not take any formal training in painting and yet was a remarkable painter of his time. He painted mostly portraits, landscapes, and animals. George’s artistic career began as a portrait painter in Portsmouth. 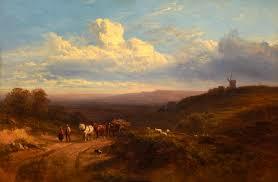 He then painted for Wombwell, who made him paint pictures of animals. Later he was asked to paint on a huge canvas of measuring up to twenty feet square which illustrated a jungle scene with elephants and also a tiger hunt. This painting was first exhibited in Weyhill Fair, but unfortunately, on the next day of the exhibition the place was hit by a terrible storm and the painting was almost destroyed. The pieces of the painting were there and George gathered the pieces together and sent it with care to London to exhibit the painting at the ‘Great Barthelemy Fair’. The painting is known to be appreciated for its good execution. After this exhibition, he then felt that he is deceiving his audience because he was painting animals of unnatural size. He quitted Wombwell and went to Holland for studying the art of animal painting from the best Dutch painters. 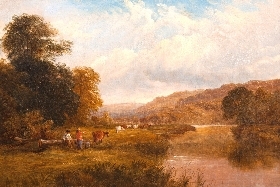 Cole often used to exhibit his paintings and he first exhibited his painting at the British Institution in 1840. After that often he used to exhibit paintings at the British Institution and in the year 1846 one of his paintings called ‘Don Quixote and Sancho Panza with Rosinate in Don Pedro’s hut’ had received a lot of applauds. 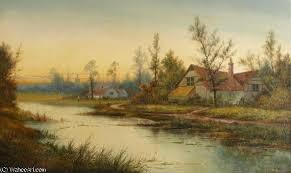 In the year 1850, he was elected as one of the members in the Society of British Artists and after that, he finally started off with landscape painting. In the year 1864, he was awarded a medal for his landscape paintings by Society for the Encouragement of Fine Arts. He is known to have exhibited several paintings of his at different venues. At the Royal Academy, he had exhibited around sixteen paintings from the year 1838 to 1880, at the British Institution he had exhibited around thirty-five paintings and at the Suffolk Street, he had exhibited around two hundred and nine paintings. George died in the year 1883.